I just feel so totally blessed since I have started Shared Inspiration! I have deepened my relationships with so many different people and I am just lovein' it! I sooo enjoy teaching my classes and having so many wonderful ladies to share my passion with! Thanks to each and every one of you! 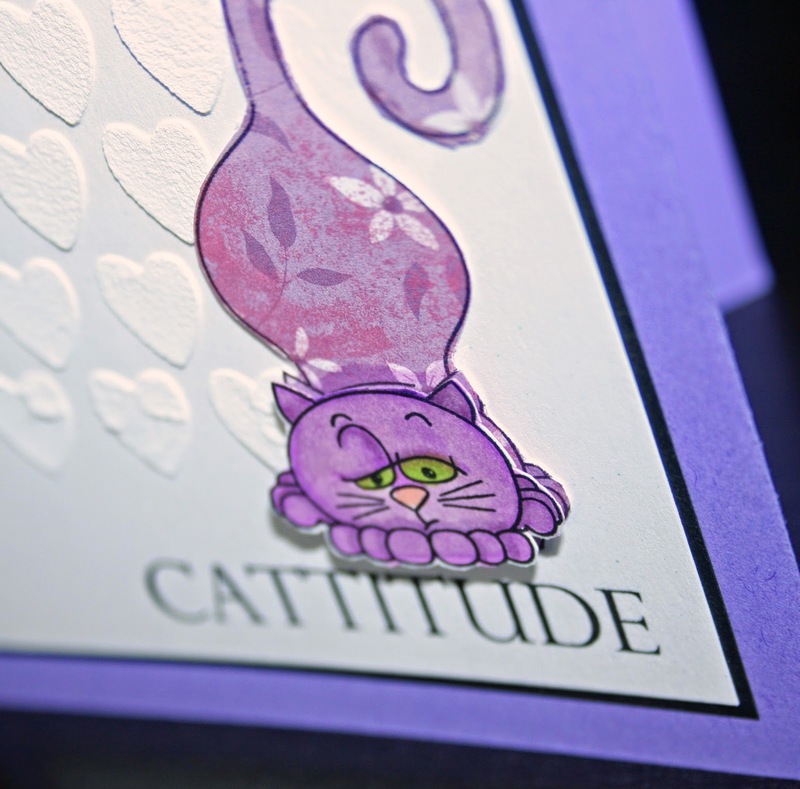 I have another Cattitude inspired card....I had printed out a sheet of these cats and colored them, so here is my second card:) I just got the Tim Holtz Hearts stencil so used that on the background with the modeling paste. The cat's head was the only part I kept that was colored with my Copics....I ended up printing the body on a piece of designer paper and cut it out and dimenalized the head. I tried the head on the pattern paper but it was just to much. 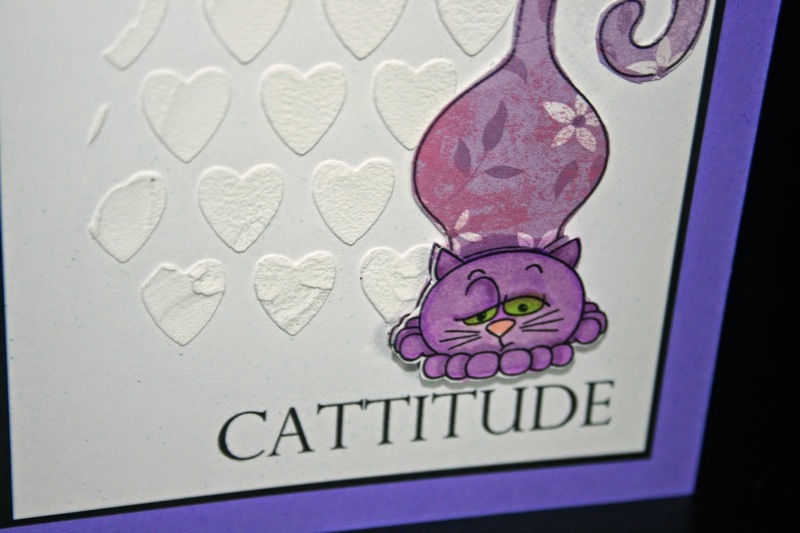 Beccy did include the Cattitude (it's only the name of the set) sentiment in her set so I printed it myself. May you be inspired today to do something crafty! !